If you are owed money for services you’ve provided, you have more options than you may realize. In North Carolina, liens can be placed on property to provide a secured interest and ensure you get the money you’re owed. To make sure the lien is valid in accordance with complex North Carolina laws, having a legal team who understands enforcement of liens is crucial. The experienced team of Raleigh business law attorneys at Kirk, Kirk, Howell, Cutler, & Thomas provides lien enforcement services that you can depend on to help you get paid. To get a clearer understanding of liens in North Carolina, read on to see how these laws apply to your unique situation. What Is a Lien in North Carolina? When a person, business, or entity is owed money from someone, in certain circumstances, the person owed can put a lien on the debtor’s property. A lien means that the creditor has a claim to that property until the debt is fully satisfied or discharged. To pay the debt, the property can be sold against the will of the debtor, or if the debtor sells the house voluntarily, the lien is paid back from the proceeds of the property sale. All liens are either voluntary or involuntary, meaning does the property owner willingly accept a lien on the property or not, and specific or general, depending on the number of properties upon which a lien is placed. A voluntary, or consensual lien is placed on property when there is a loan against it, and the property can be recovered in the event of non-payment. For example, a car payment is a type of lien. The lender agrees to loan the buyer money. While the buyer is paying off the loan, the lender holds the title, and if the buyer does not pay, the lender can repossess the vehicle. When the car loan is paid off, the owner receives the title. A mortgage is another type of voluntary lien. When a homebuyer takes out a mortgage or refinances property, they are giving the lender a lien against the home or property. If the homebuyer falls behind or fails to make payments, the lender or bank can take back ownership of the property through foreclosure. When a property owner owes a debt and doesn’t pay, the courts allow a lien to be placed against real property (ie, land or permanent structures including houses and commercial buildings). Tax liens and mechanic’s liens are common reasons for these as the enforcement of liens comes from following a legal protocol and is determined by a judge and not through agreed upon terms. A specific lien is placed on only one property. 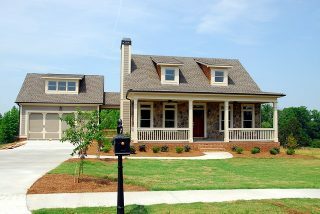 A mortgage is an example of a specific, voluntary lien. In the event that an owner doesn’t pay taxes on multiple properties, an involuntary, specific lien may be placed on each individual property. However, a general lien is placed on multiple properties, such as when a judgement is passed and a lien can be placed against all of someone’s assets until the judgement is paid. The three most common types of liens are tax, mechanic, and judgement. Each one has specific guidelines to follow in order to file and enforce the lien. When a person doesn’t pay taxes on their commercial or residential property, a lien is placed on the property. It is not lifted until all taxes are paid on the property, either by simply paying the bill or through selling the property and paying the tax through the proceeds. If the tax debt goes unpaid for a long period of time, enforcement of a lien may occur through foreclosure and the property is auctioned off. A mechanic’s lien, also called a construction lien, is filed by business law attorneys on behalf of contractors, subcontractors, and construction companies who complete work to improve a property and the homeowner does not pay the agreed upon amount. The court can grant a secured interest in the property, which often leads to one of two outcomes. Either the contractor or worker can wait to be paid or may move for foreclosure on the property. When a person fails to pay debts, such as owing on credit cards, and the person or entity owed files a lawsuit to get their money, a judge or jury hands down a verdict and a judgement is entered into record, showing how much the debtor must pay back to the creditor. Judgements are valid for ten years from the date it’s entered into the record. In North Carolina, if the debtor does not pay, a judgement lien may be placed on the debtor’s real property only and not on personal property or valuables. While government entities place liens against property owners for tax debt, in the case of mechanic’s liens and judgement liens, the private citizen, business, or organization must file to have a lien placed on the debtor’s property. A business law attorney will often file on behalf of the creditor in order to ensure all the protocol is followed correctly, including filing within a specific time frame depending on the type of lien, determining jurisdiction, and contacting the debtor. Lien payment hierarchy – If a property is mortgaged, the mortgage is paid first, then taxes, then a mechanic’s or judgement lien. If there’s not enough equity in the property, the debt may go unpaid. Cost of foreclosure – Foreclosures are settled in the court and the creditor must pay the cost of the foreclosure. It is important to note that rarely do mechanic’s liens and judgement liens require foreclosure. In most cases, once the debtor is notified by the creditor’s attorney that a lien is placed on his or her property, they pay their debt or settle their judgement, and the lien is removed. If you are owed money for extensive home repairs, or a debtor is not following a judgement settlement action, an experienced Raleigh business law attorney can help you with the filing and enforcement of liens. With the expert team at Kirk, Kirk, Howell, Cutler, and Thomas, LLP, we will work on your behalf to ensure you get the money you’re owed. 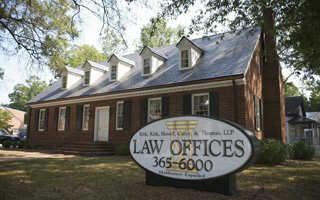 Call us today at (919) 615-2473 or fill out our contact form below to speak with our attorneys.